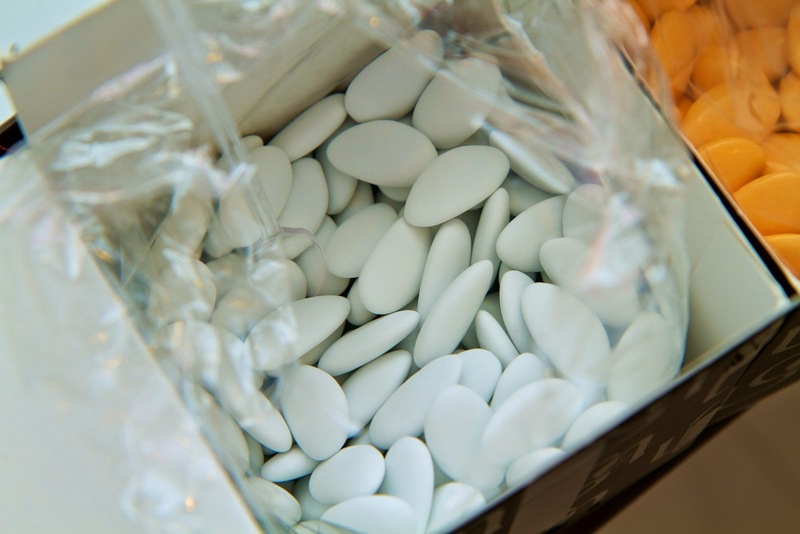 The gift of Jordan almonds at weddings is a Western Europe tradition dating back centuries. In fact, at many Italian-American weddings it's still the go-to favor for guests. Typically given in groups of five, these sugar-coated almonds traditionally represented the five wishes of health, happiness, wealth, longevity and fertility. 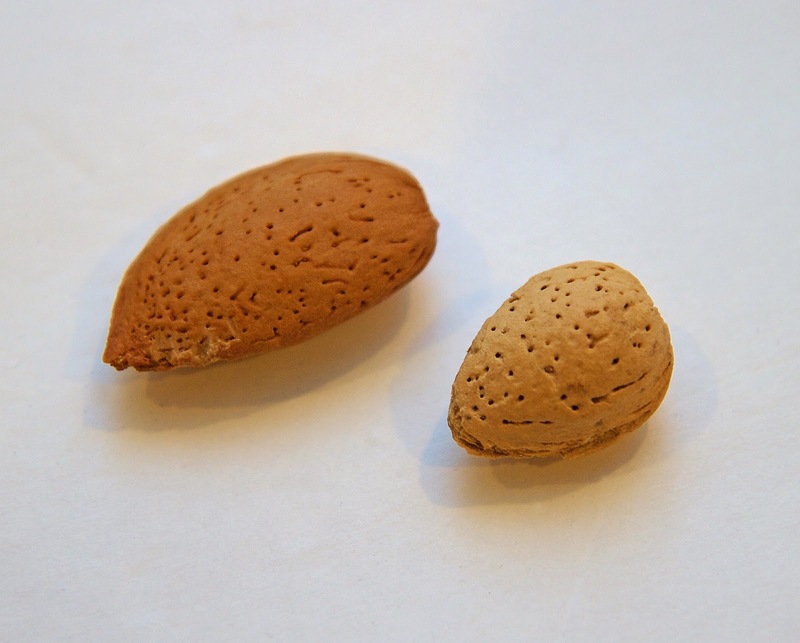 The local mother-daughter team behind Les Cinq Amandes (translates as The Five Almonds) is giving new life to the five almonds tradition, and let me tell you, these are unlike any I have ever had. At the Stamford-based atelier, among a wonderland of confectionery colors, ribbons, boxes and displays, we sat down with Lina Ariss-Abdo, the mother half of the team, to learn about the business and about their modern take on tradition. After many years of discomfort, Lina who was a pediatrician and neonatal instructor, was diagnosed with severe rheumatoid arthritis. It was so debilitating that she had to give up her career and faced a long, painful rehab. However, she wasn't one to be down for long. While traveling overseas, Lina and her daughter Lara were on a quest to find the perfect sweet favor for Lara's college graduation party. They were not having much luck. Then, they had an ah-ha moment. If they were searching to no avail for a high-quality unique gift, chances are others are having the same issue. Thus, Les Cinq Amandes was born. Immediately from their taxi, they began researching and securing a domain. Lina helms the creative side, while Lara manages the business side. They use grand cru Avola almonds, rare Sicilian almonds, hand harvested from 200-year-old trees. 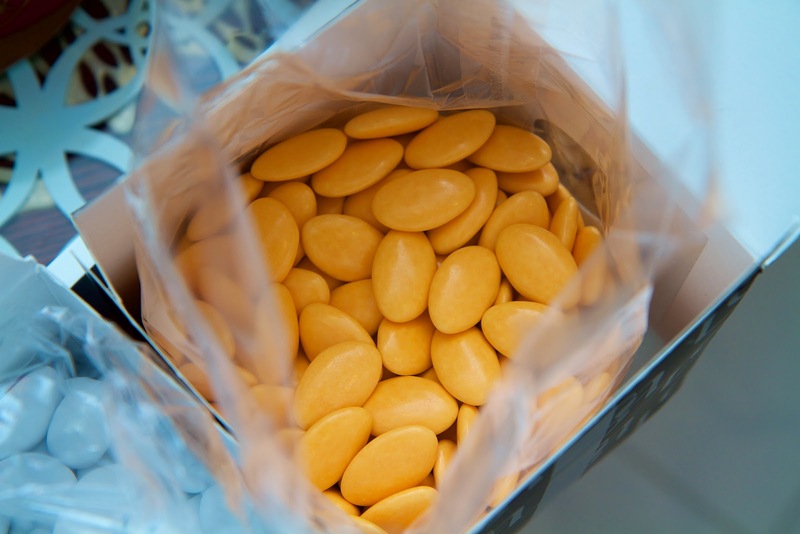 The almonds are shipped to France where they are delicately sugar coated by artisans using a traditional method which takes four days to complete. The dragée then arrives at the atelier where they are hand-packaged and wrapped. Each step is carefully done by real people. The result is an amazing high-quality product you do not find elsewhere. Sugar coated Avola almonds. You can't have just one. 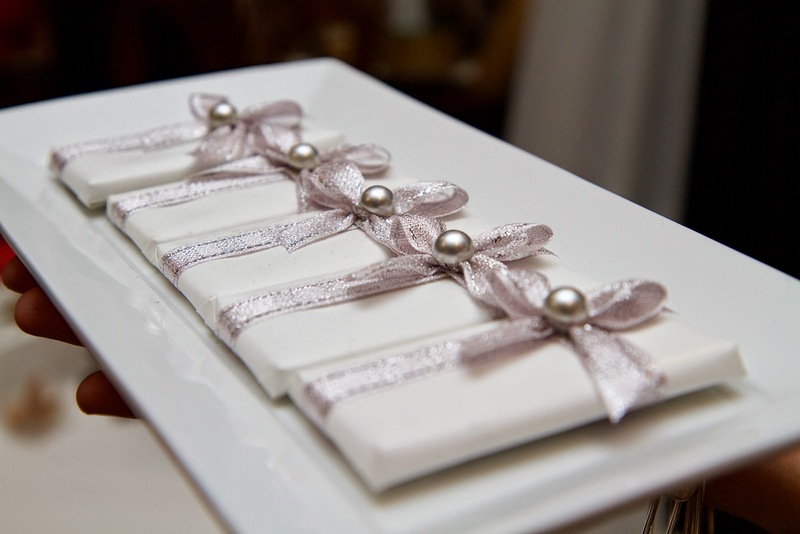 Les Cinq Amandes is a one stop place for gifts from small favors up to large, custom corporate gifts. Lina is full of creativity, helping customers create truly one of a kind gifts. 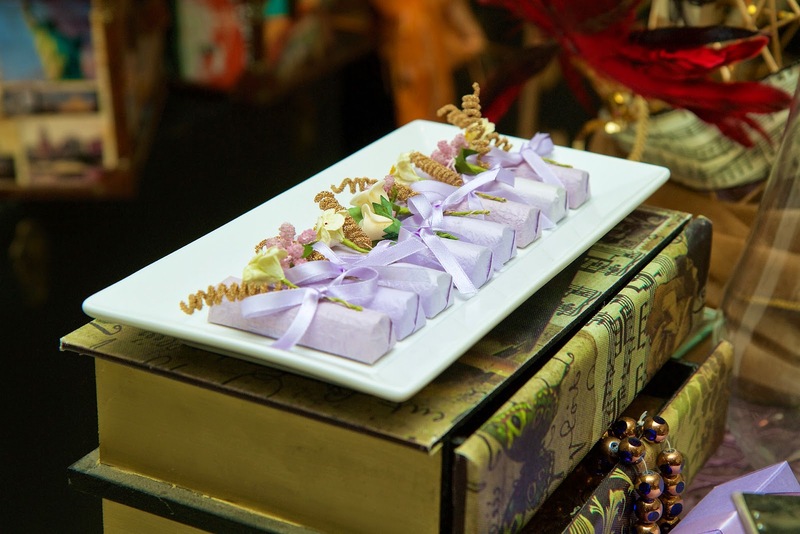 Her attention to detail across the brand makes every item feel special whether it's a hand-painted lacquer box filled with an array of sweets or a single flavor in a basic box. "Everything needs to be perfect, look amazing, and taste delicious," Lina explained. The Avola almonds are not only larger than normal almonds, but the flavor and texture are also beyond normal almonds as well. They are tender and dare I say effervescent. The incredibly delicate sugar coating does not detract from the almond flavor. They are in a word - addictive. It is easy to see why the Les Cinq Amandes client base is growing exponentially due to word of mouth alone. 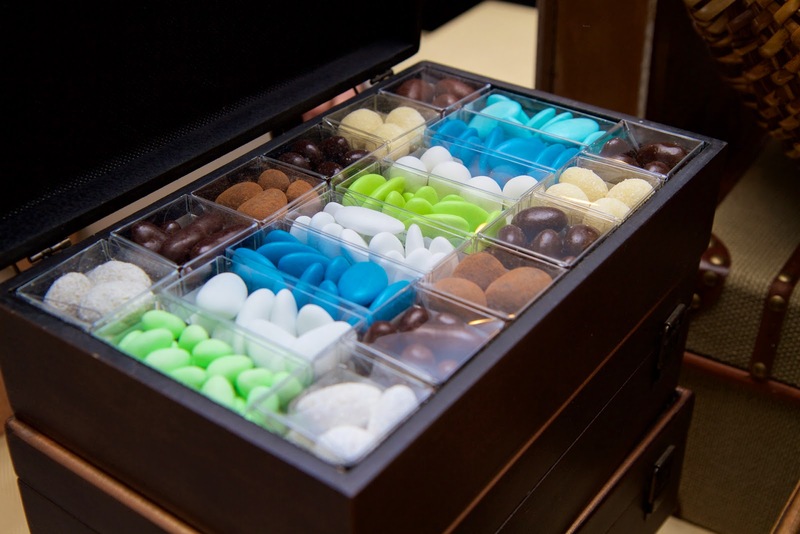 The Les Cinq Amandes collection also includes hand-wrapped chocolates and other unique bite-sized confections. Among them are 70% cacao Belgian chocolate pieces covered in the same light sugar coating as the almonds. Think of them as a high-end M & M. Lina says they are always trying to add something new whether it's exotic flavors of chocolate and nuts or discovering new packaging and display ideas. One door closed for Lina, yet she and her daughter opened a new door together. Becoming entrepreneurs is never an easy road, but Lina and Lara are making it happen with passion and creativity. It appears that Les Cinq Amandes is as sweet gift for them as it is for our taste buds. This year give a sweet gift wrapped in wishes for health, happiness, longevity, peace and love. 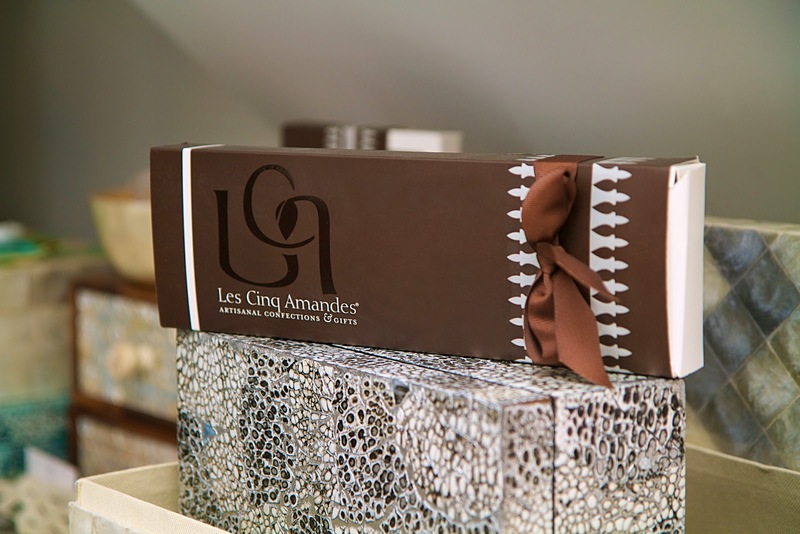 Visit the Les Cinq Amandes online store: http://www.the5almonds.com.